Donna Thomas, CEO/Educator at CEUFast.com has been selected to join the Nursing Board at the American Health Council. She will be sharing her knowledge and expertise on Healthcare Education. With over four decades of experience in the healthcare industry, Donna excels in her role as CEO/ Educator at CEUFast. Established in 1987, CEUFast was created to make completing continuing education courses easy and convenient. Over 200, 000 healthcare professionals have utilized CEUFast making it one of the leading online continuing education providers. 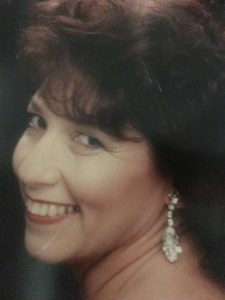 In her current capacity as the CEO/ Educator at CEUFast, Donna handles the marketing and management of the online educational programs on CEUFast.com, teaches ACLS and BCLS monthly, maintains a farm and rehabilitation program for abused animals. Donna became involved in her current position due to her understanding of how the healthcare field works. Thus, Donna believed in the development of CueFast to better serve and alleviate the stress healthcare professionals undergo to remain abreast to the changes of continuing education. Looking back, Donna attributes her success to her belief in God and her ability to think outside the box. She enjoys the people she has met through her life and makes it a point to stress the importance of a person in a leadership position to appreciate and value their staff. Her commitment to the industry has led to recognition as the Gainesville Area Women’s Network Chairperson of the Year, North Florida South Georgia VISN 8 Chairperson of the Professional Development Committee of the Year, and induction into the “Woman of the Year Circle” VIP Member National Association of Professional Women. To further her professional development, Donna maintains membership with The American Nursing Association (ANA), The American Association of Critical Care Nurses, American Nurses Credentialing Center (ANCC), The National Association of Professional Women, and The American Heart Association. 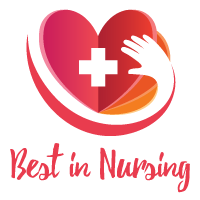 Among her many accolades in her extensive career, Donna is most proud to have created a website (CEUFast.com) along with another nurse offering continuing education online at a low cost. Also, she is proud to have obtained her MSN at the age of sixty from the University of Phoenix. Most of all, Donna is proud to have CEUFast featured on Fox TV “Worldwide Business with Kathy Ireland”. Considering the future, Donna hopes to obtain a PhD degree in Global Healthcare and working with the African Research Foundation in Kenya. She longs to market CEUFast to an international market and to U.S. States who have decided to make educational contact hours mandatory for license renewal. She financially supports and provides rehabilitation for domestic and local wildlife. Additionally, Donna supports the police departments, Veterans, American Red Cross, Local, National, and International preservation of animals and their habitats on an international and national level. She supports projects that ensure people of all ages receive food and medical care worldwide. Established in 1987, CEUFast.com was created to make completing continuing education courses easy and convenient. Over 200, 000 healthcare professionals have utilized CEUFast making it one of the leading online continuing education providers.